I am a mom of 6 year old twin boys. I work full time and am married to a great guy. I live across the street from Heidi. I won't bore you with the rest of the details. 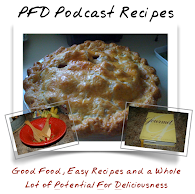 Just listen to the PFD Podcast and you will learn more about me! lot of PFDs raising our twin boys.